One of the most exciting teams in the NBA, the Dallas Mavericks have taken the sports world by storm. Now readers and fans will finally get the chance to hear the stories and witness the action that defines the powerhouse team that captured the 2011 NBA title. In this newly updated edition of Tales from the Dallas Mavericks Locker Room, Jaime Aron brings all the power and passion of the Dallas Mavericks recent glory years to life. 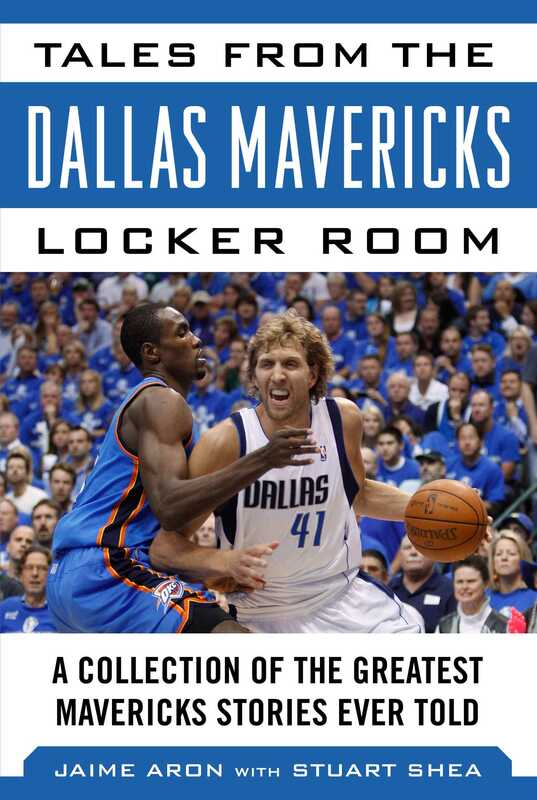 Readers will relive all the adrenaline of the Mavericks-Spurs rivalry, get the inside scoop on life under head coach Rick Carlisle, and of course, revel in the glory of the Mavericks NBA championship! This treasure trove of team history includes stories about some of the best Mavs players to grace the court including: Dirk Nowitzki, Mark Aguirre, Jason Kidd, Seth Curry, and more. Tales from the Dallas Mavericks Locker Room is more than just a team history—it’s a chance to get to know the legendary players, coaches, and executives of the Dallas Mavericks like never before. Jaime Aron has been the Texas sports editor for the Associated Press since 1999. A native Texan, he began his sports writing career in 1991. Aron has covered practically every major sporting event and was named AP Sports Writer of the Year for 2001. The author of several sports books, he lives in Dallas with his wife, Lori, and sons Zac, Jake, and Josh.